On Thursday April 11, 2019 at his residence in the RM of Rhineland, MB Abe Bueckert age 69 years went to his eternal rest. He leaves to mourn his passing his wife, Justina (nee Hiebert), four daughters and six sons: Kathy (Bernie) Sawatzky, Susan (Isaac) Dyck, Peter, Maria (Dave) Dyck, Ben (Sahra), John (Tonya), Abe (Kristel), Dave (Karina, Justina and Jake (Lidia) as well as 33 grandchildren, two grandchildren-in-law, and three great grandchildren. He was predeceased by his parents, seven brothers (one in infancy) and two sisters. 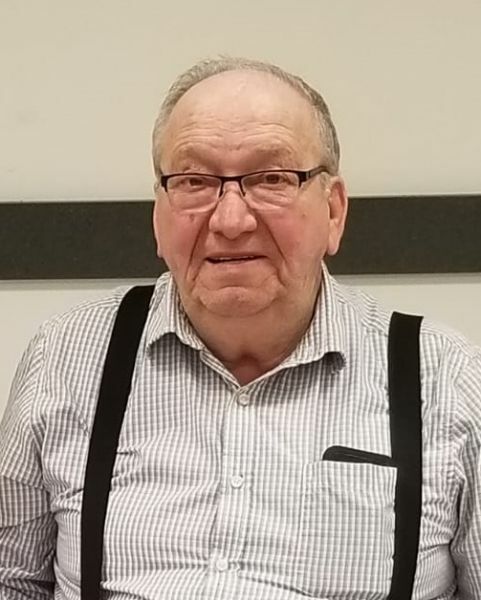 Funeral service at 2:00 p.m. on Wednesday April 17, 2019 at the Winkler Sommerfeld Mennonite Church with interment at the Reinfeld Cemetery. In lieu of flowers, donations may be made to assist the family with expenses. Our deepest condolences to all of your family! Our thoughts and prayers are with your family! May you feel the comfort of the Lord in this difficult time!